Download complete and DO SIGN the Statement Regarding a Lost or Stolen US Passport application form. Note: There is no real position the government takes on what kind of information they expect to have reported on this form, aside from answering the questions clearly. 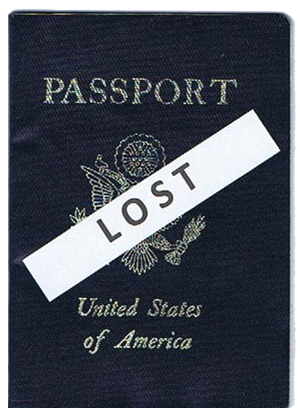 Often people say “well if I knew where my passport was, it wouldn’t be lost”. It’s a good point. However, what they are trying to determine here is if there has been any inappropriate activity such as fraud or other criminal behavior or just negligence on the part of the passport holder or parent. So it is best to just explain as much information as you possible can to help them to determine if you might be able to find it, or - if it is lost - is it in the hands of the wrong person.